Summer is here again. So once more we have a story about valedictorian speeches in US schools. 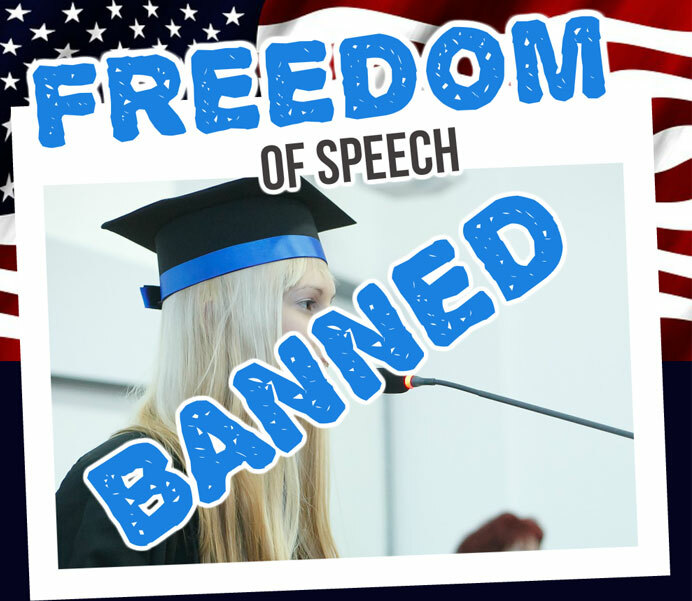 We've looked before at freedom of speech in a Californian school. But this season, once again, we've found an incident about no freedom of speech in a Louisiana school. For anyone who is are unfamiliar with the concept of a valedictorian speech at US schools, they are a feature of just about every school. 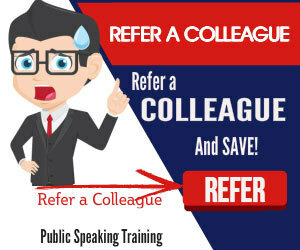 Typically, one or a handful of top students get the chance to give a farewell speech at their school, before they leave and take up a college place. Equally typical is their stage management. And equally typical is their censorship. Of course, the schools in question all state that they simply "approve" the speeches that are given by the students. No doubt their aim is to maintain quality and discipline at the farewell ceremony. Of course, the net result is a series of top students falling foul of the regulations as they stray off-script. This week's story features a student at the Calvary Baptist Academy, Hailey-Lou Vaske. She was in mid-stride with her speech when the school's principal, Superintendent Chad McDowell, approached the speaking podium, seized the microphone and brought her speech to a close. And with these words a deputy at the school escorted one of the top students away from the ceremony. Just superb, you really couldn't make it up. The land of the free...but just don't speak out of turn. Stick to the script. Do as you are told. Undoubtedly Superintendent Chad McDowell can point to his record of upholding the good name and reputation of his academy. Quite so. But, what is the point of a school if students can't express themselves. It's a small step from no freedom of speech to no speech. And it's an equally small step to...no freedom. 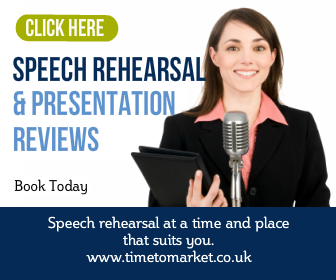 You can always discover more about how to finish a speech, with more style than Superintendent McDowell, when you join a Time to Market public speaking course.